Those of you who follow me on Twitter already know this, but the rest of you likely are in the dark: The garrulous guys at GaymeBar.com asked me to be on another of their fabulous podcasts last weekend. The resulting recording can be heard here. What did we talk about? If memory serves, we chatted about the games we were playing currently, the best games of 2011 and gay characters/content in games. I'm sure we covered at least a few other topics, too, but I can't remember them at the moment. Just don't expect to hear much of me during the segment that focuses on the best games of 2011--I've honestly played very few of them and, as such, couldn't really add to the conversation in any meaningful way. That's not to say I'm opinionless when it comes to my favorite games of the year. In fact, I just finished writing a post that covers that territory. Expect to see it published the week after Christmas. Oh nice! I remember when you were on their podcast last time :). I'll be sure to download and give it a listen shortly. Sweet. I might have to find this one. Awesome, I'm always listening to podcasts so I'll be sure to check this out. Great, Lucy! Do you listen to any gaming podcasts? If so, would you recommend any in particular? You probably already listen to the GameCritics podcast, Bryan, but if you don't, it's quite good! I always catch their new episodes (even though Brad talks about his dislike for Corpse Party in the newest one! heh). Hey, Anne! I haven't listened to the GameCritics podcast, sadly. Not because I have anything against them -- I'm just not a podcast listener in general, I guess. I'll try to give GameCritics a listen soon, though. As for how I find being on podcasts: I feel kind of 50/50 about it, to tell you the truth. 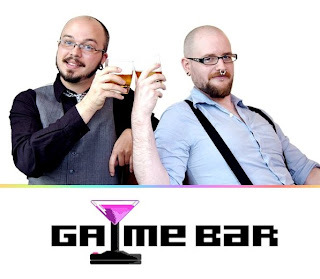 The biggest part of me has fun, especially when the hosts are fun (like Jeremiah and Toups on Gayme Bar). A smaller part of me, though, gets a bit overwhelmed. I can't help but worry that I'm going to come off as dumb, lame, annoying, etc.